Enjoy the sunshine and the sounds of nature by staying at Fall Creek Resort. 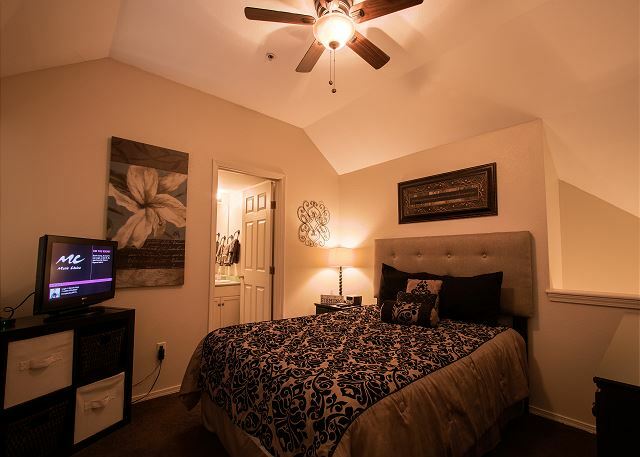 This charming two bedroom unit is a perfect getaway for everyone wanting a simple and affordable, yet classic place to lay their head. 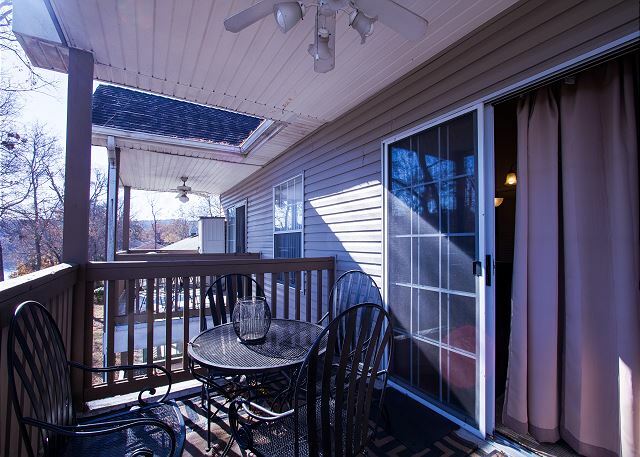 Make a quick bite to eat in the full kitchen before stepping outside onto the deck and watch Lake Taneycomo roll by and don't forget there is a grill on the deck! 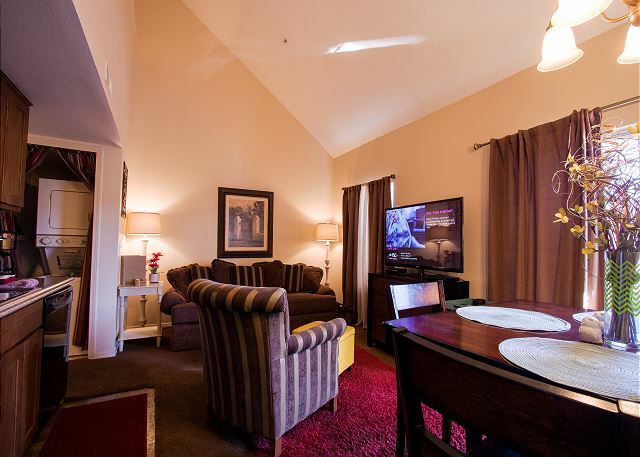 Watch your favorite shows on the 50" flat screen TV as you curl up on the comfy couch. There's another flat screen TV in the loft bedroom so the kids can enjoy their shows too! When you find yourself wanting a little bit of glitz, then take a quick drive to the Branson Strip. With tons of live entertainment shows, restaurants, and shops, there is something that everyone in your group will love! Or stick around the condo and bring your fishing pole. Catch for fun or catch your next meal on Lake Taneycomo. Want to go for a swim? Head on out to Moonshine Beach, there is a pass in the condo to get in for free! Glad you loved your location, Leigh! It definitely is a beautiful spot. Thank you for your wonderful review and we hope to see you again on your next trip to Branson! The accommodations were nice. Very clean. The directions were horrible. Had to call the management for them to take us turn by turn because GPS does not take you to the exact location. Didn't realize that every time the kids wanted to go fishing there was a $5 fee. The promotional show tickets were a joke. The cheapest tickets were what was "free". No thank you. We did have a great time. Unit was quite and very well kept. The view is spectacular! The pass to Moonshine Beach was an unexpected pleasure. It’s the nicest beach I’ve ever seen. Could have used a fan or two to help with air movement. A very pleasant experience. Beautiful location on the waterfront! We loved the location and the rooms were very comfortable. The blow up mattress was a little deflated in the mornings. But besides that we enjoyed out stay there very much. Thanks Brandi for the review! Hope to see you again and I will have our operations team check the air bed. We enjoyed our stay in the condo! The space was a perfect size for our family, and the description we received was accurate. We experienced a little confusion about checking in since we had booked through , but it was remedied after making a few phone calls and receiving the necessary email documents. We would stay there again! It was a nice weekend there. The only negative thing I have to say is that there was a smell to the place when we first walked in, like cigarettes and puke. Alot of bugs on the wall at night. Other than that it was a cute place. We would return. Hello, Mai! Thank you for your feedback, we appreciate it very much. We will be looking into the issues about the smell and bugs that you've brought to our attention, and we hope to see you again in the future. 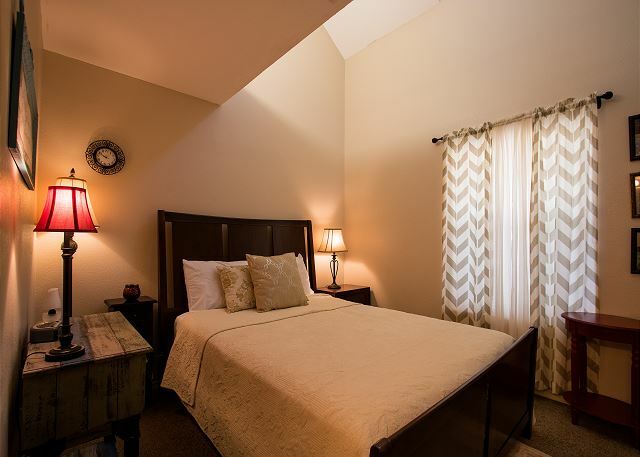 Don't forget to mention your previous stay with us for a special returning guest discount! which is on the third floor no elevator but we managed the stair's well and great location.But needs a new bed frame in lower bedroom makes noise with every turn while trying to sleep only complaint I have. Thank you for your review and for bringing the bed frame to our attention, James. We're glad you enjoyed your stay! It turns out that a few screws in the bed frame had worked loose so we tightened those up and all is well now. When you come back to Branson and stay with Sunset Nightly Rentals, don't hesitate to give us a call while you're here with any maintenance items such as this. We'll do everything we can to rectify the situation so you can enjoy your vacation and get a great night's sleep! The pictures do not do this place justice. There are high ceiling and adorable decorations. We were impressed by everything. The couch, carpet, chairs, everything seems brand new and super soft. The back deck doesn't have the best view of the lake but it is still peaceful and nice to have. Would definitely recommend and is awesome for the price. Will definitely book again. Hello, Martin! 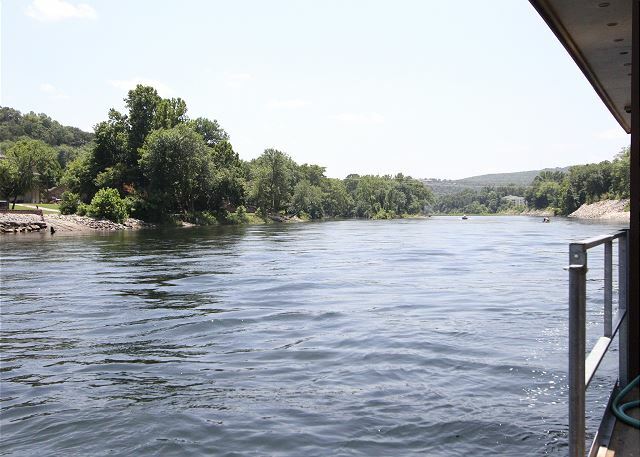 We're so happy to hear you enjoyed your time in Cast Away on Taneycomo. The decorations are a nice touch, aren't they? We really appreciate your feedback, and we hope to hear from you again soon. Make sure to mention your previous stay with us so we can give you a repeat guest discount! Not for a group of SIX!!! Margaret B from Brandon , MS does not recommend this vacation rental. 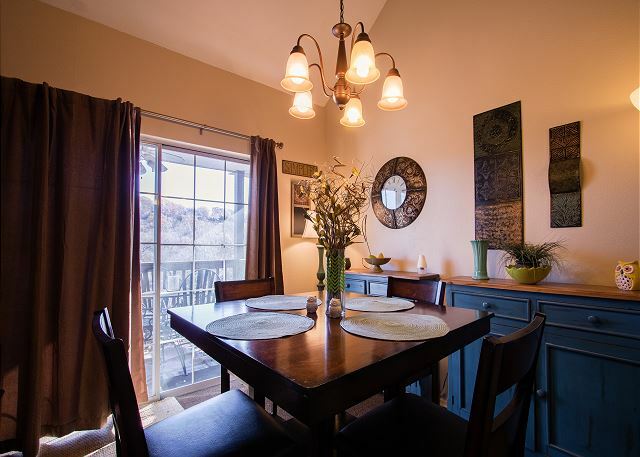 Although the location was nice (on Lake Taneycomo) and the furnishing were good, this condo should have been marketed for occupancy of FOUR at the most!! We had 3 couples. It was very crowded (lots of furniture -- little space to move around) and the couch does NOT let into a sofa sleeper -- there was a blow up mattress for the 5th/6th persons...and furniture had to be moved around to even find enough room to place the blow up mattress! 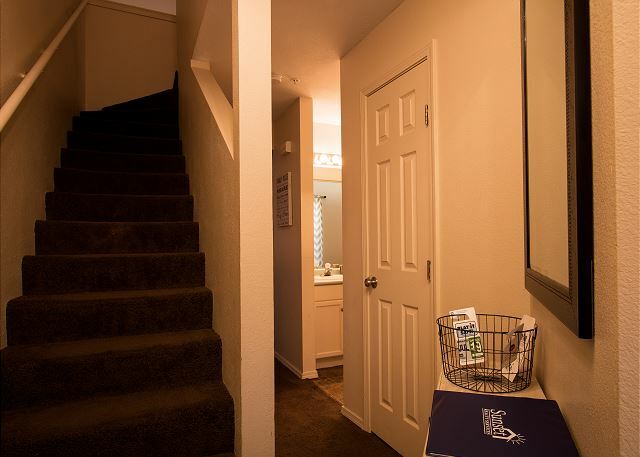 In addition, this condo is on the THIRD floor of the building, and there is no elevator! We had senior adults, and walking the 3 flights of stairs was very hard for 4 in our group!! I don't remember seeing anywhere on the site about this being on the 3rd floor with no elevator! It would be a great condo for two people -- or even four, but certainly not for SIX!!! Great place to stay with a great view!!! 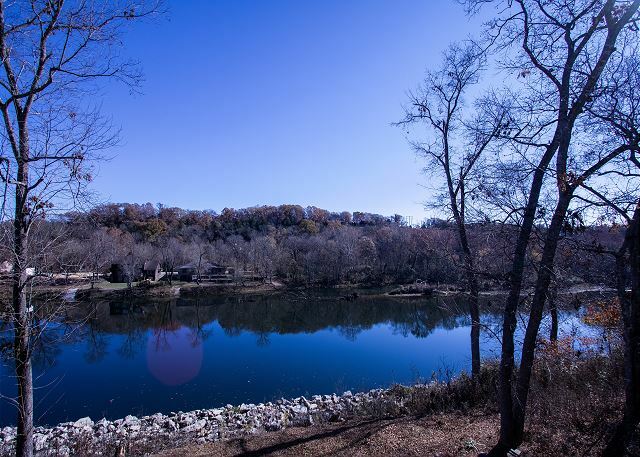 Very close to to moonshine beach and right on the taneycomo! When you set on your deck you are right above it. Perfect for 6 people. Nice kitchen and dining table. Was perfect for us! Seeing the fog every morning was amazing. Rooms were nice and clean. Very quiet. Neighbors were very friendly. Has a dock and picnic area down from the condo. We would stay there again!!! Overall, this was a good experience! The location of the rental on the river was beautiful and we were very impressed with the cleanliness. The things we didn't like was the very loud music from the unit below (maybe vacationers as well and a one time thing? ), the office I worked with seemed disenchanted and annoyed we called in service - but it was fixed in a very timely manner. The directions to the condo were very hard to follow but once you find it you can find it again - it's through a resort community that winds and winds. It was my parents first time in a "non-hotel" and they were very impressed and would rent this unit again. The condo was very clean and fit all of our needs. Nice view of the river from the balcony and was beautiful for morning coffee or a quiet place to read. The only thing that was a little frustrating is that there were no commonly used condiments (salt, pepper, coffee) things of that nature. Other places we've stayed will provide those things. Great location to shows or whatever you want to do. The water when showering smelled like rotten eggs the first couple of showers, but got better the longer we stayed. Overall, good experience and would go back.